Created to make tables look entertaining, this vase will rock the creative look and become the center of attraction in your house. Made from high quality ceramic, it will remain in pristine condition for a long time. This vase is tall and has elegant shape. 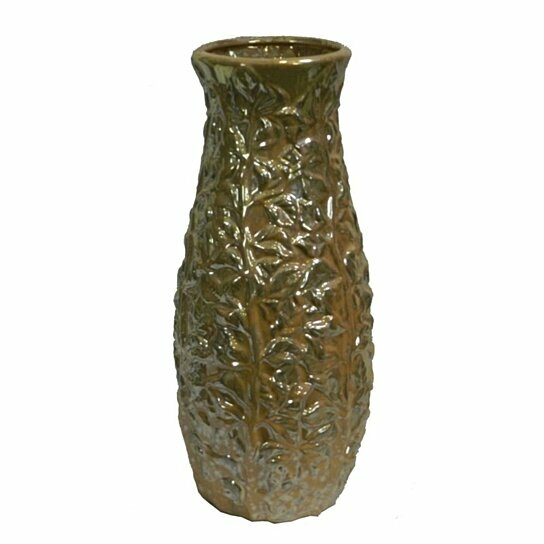 In shades of greenish khaki, the vase features a floral pattern all around it. Adorn it alone or along with fresh flowers, either ways it will be a conversation starter among guests and other visitors.